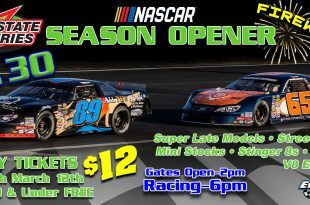 Granite Super Sprint Car Series! 2019 Rookie Orientation/Practice/BBQ March 23rd! 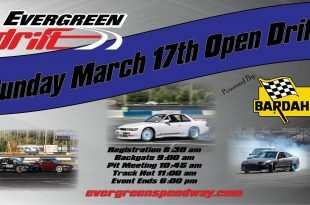 March 3rd AutoX Powered by 425 Motorsports! Children of all ages are allowed in the pits. Must be properly supervised at all times. -All drivers must have a valid driver’s license. -Must wear a minimum of a DOT approved helmet at all times while racing. Snell SA rated motorsports helmet is highly recommended. -Drivers must wear full pants (no shorts). SFI rated fire suit is highly recommended. -Drivers must wear closed toe shoes. No sandals or flip flops (open toed shoes) allowed. All tires must be in good condition and free of cracks, cuts, or bulges. Wheels must have all lug nuts secured and without visible defects. All throttles must have dual throttle return springs. 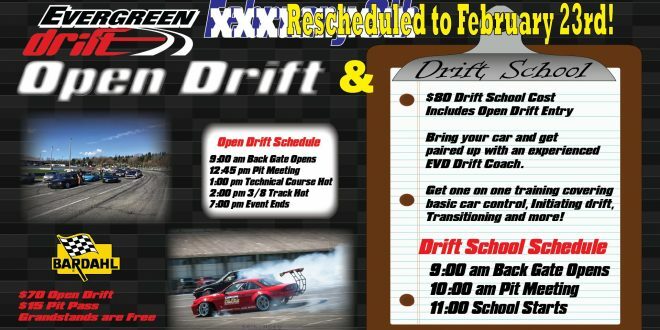 Unmodified factory throttle setups on late model vehicles are OK.
All vehicles are required to have seatbelts and drivers are required to wear seatbelts at all times while racing. All batteries need to be securely mounted to vehicle. Factory holdowns are OK. No bungee cords, tape, wire or straps are allowed as a battery holdown device. When batteries are relocated into the trunk of the vehicle, the trunk must be separated from the driver’s compartment by a firewall and all openings must be sealed. All vehicles must have fully working brakes. Full bodied vehicles and roadsters must have a firewall to separate the engine compartment from the driver’s compartment. All openings must be sealed. All vehicles must be free of fluid leaks to prevent fluids contaminating the track surface. 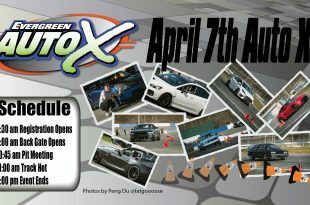 Vehicles that have visibly flowing leaks will be barred from competition until the leak has been fixed and cleaned up. Fuel Lines are to be metal or high pressure hose. Must be free of cracks and mounted away from moving parts, headers, and exhaust. Overflow should be attached to the radiator vent to prevent coolant from leaking onto the track. The minimum size is 1 pint in size. 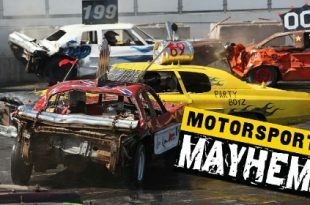 All nitrous bottles must be securely fastened to the vehicle. Bottles mounted in the driver’s compartment must have a blow off valve vented to the outside of the driver’s compartment. 4 point cage/hoop- it can be welded in or bolted in, 3 point seatbelt/harness- Factory OEM seatbelts are okay. No lap belts. A 5 point harness is recommended, but not required. 4 point cage/hoop- it can be welded in or bolted in, 5 point harness, 3 inch wheel studs, Drive line hoop, Fire jacket. 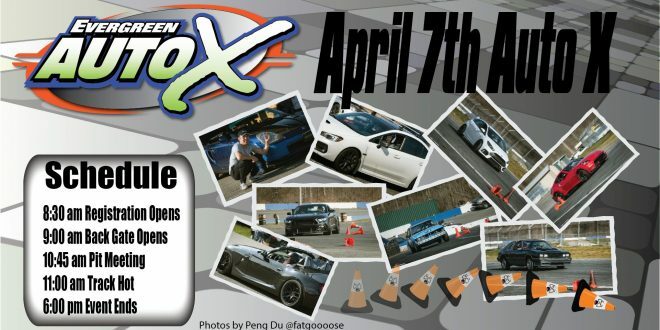 April 2, 2019	Autocross, Events, News Comments Off on April 7th AutoX! 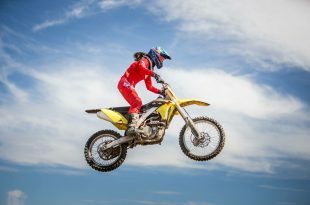 April 2, 2019	MX, News Comments Off on Evergreen Motocross! 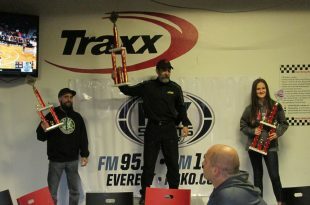 Additional Contact Info: Facebook Page http://www.ewmxschools.com Call (425) 492-4594 // eric@ewmxschools.com About:Motocross track at Evergreen Speedway in Monroe, WA. Will be open Tuesdays and Thursdays. CALL before you haul! 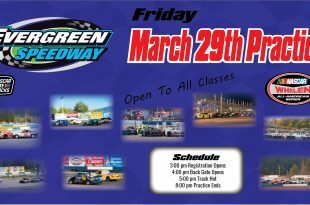 March 25, 2019	Events, NASCAR, News Comments Off on Friday, March 29th Practice! 2019 Opening Night ROLL CALL! March 6, 2019	Uncategorized Comments Off on 2019 Opening Night ROLL CALL! Calling all Drivers! 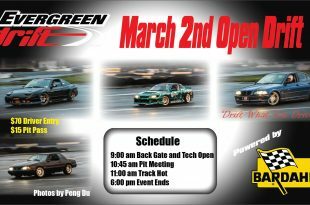 Do you plan to race March 30th?! Please use the form below to let us know! 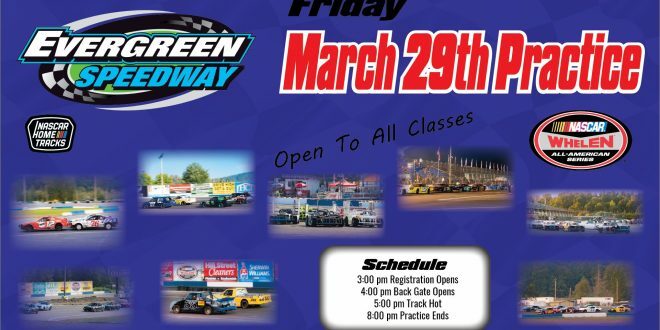 February 28, 2019	Events, NASCAR, Schedules, Uncategorized Comments Off on Granite Super Sprint Car Series! 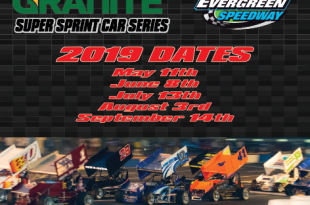 2019 Evergreen Speedway General Rules Super Sprint Car RULES! February 26, 2019	Uncategorized Comments Off on March 2nd Open Drift! February 8, 2019	Uncategorized Comments Off on Open Drift March 17th!